The 60s was a time when young people rebelled against the established order, developing left-wing ideologies. In West Germany the rebellion took the form of violence when Andreas Baader, Thorwald Proll, Horst Sohnlein and Gudrun Ensslin formed the Red Army Faction. Among their early actions were firebombing “capitalist” department stores in the spring of 1968. The four were sentenced to three years’ imprisonment but were released under a political amnesty in June 1969. The gang was arrested in June 1972. The West German establishment came down heavily on them and they were put into solitary confinement, denied visits and force fed when they went on hunger strike. On 9 May 1976 Meinhof committed suicide in her cell. Between May 1972 and October 1977 a second Red Army Faction committed new atrocities, bombing police stations and American army barracks and assassinating Siegfried Buback, the Federal Prosecutor General and his driver, while they waited at as traffic light on 7 April 1977. 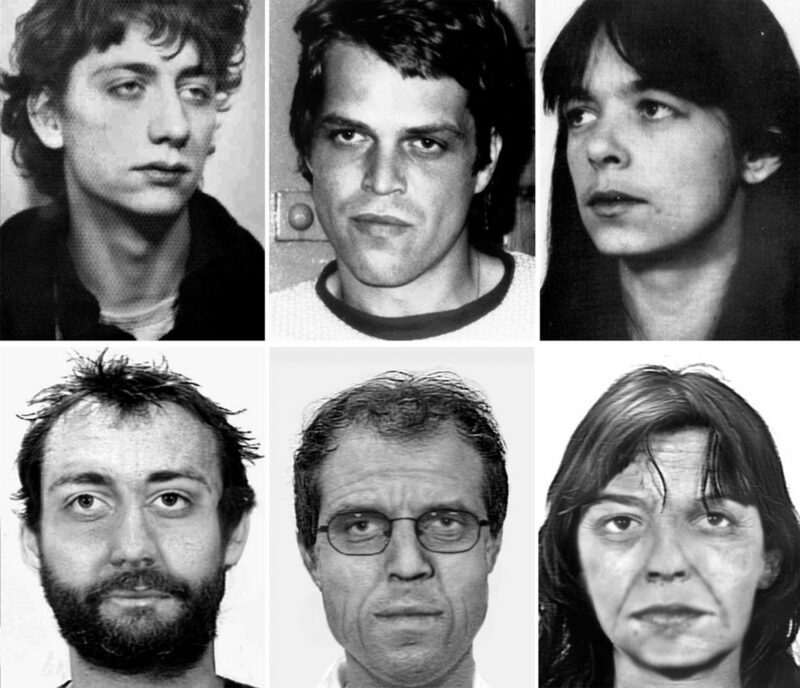 Between September and October 1977 — a time known as Der Deutsche Herbst (the German Autumn) —the Red Army Faction kidnapped Hans-Martin Schleyer, the president of the Association of German Industry on 5 September 1977 and hijacked a Lufthansa airliner bound for Frankfurt at Palma Airport, Mallorca on 13 October 1977. For three days the plane flew around the world landing in Rome, Larnaca, Dubai and Aden where the pilot Captain Jurgen Schumann was tried before a “revolutionary council” and executed. The co-pilot flew to Mogadishu in Somalia where at 12.05am on 18 October 1977 all four hijackers were killed by GSG9, a branch of the German federal police Baader and Ensslin were already inprison when they heard of the failed hijacking. That night Baader shot himself in his cell and Ensslin hanged herself. That same day his kidnappers shot Hans-Martin Schleyer.